Registrants are required to agree to the Registry's "Abuse and Rights Protection" Terms and Conditions as part of the registration process for the second-level domain, which includes displaying the APM Seal on the homepage. We augment the security and stability of the gTLD by implementing the Abuse Prevention and Mitigation Seal (the "APM Seal"). 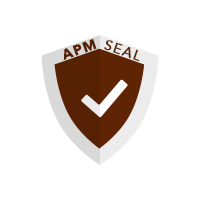 The APM Seal will provide users and stakeholders in the sector with a one-click mechanism for how to access relevant Abuse Prevention and Mitigation processes. Registrants on the gTLD will be required to implement an APM Seal on their web pages that users can click-on and be taken to a web resource detailing the relevant mechanisms for how to report and address abuse on the gTLD. Registrant will be required to agree to the Registry’s “Abuse and Rights Protection” Terms and Conditions as part of the Registration process for the second-level domain including clauses relating to the APM Seal. The Terms and Conditions will require the Registrant to include the APM Seal in a prominent place on its website. Following the registration, the Registry will automatically email the Registrant’s Administrative, Technical, and Billing contacts with an additional notification that the APM Seal needs to be included on the Registrant’s homepage. The Registrant has 120 days from the date of registration (the “Grace Period”) to effectuate the fixing of the APM seal. During the Grace Period, the domain registration will be flagged in WHOIS or a linked system as being in the APM Seal Grace Period. When the APM Seal has been activated, the second-level domain will have the APM Seal marked as active in WHOIS or a linked system. If the Registrant does not activate the APM Seal before the Grace Period expires, the site will be flagged as being out of the Grace Period for the APM Seal activation and the Registry will notify the Registrant’s Administrative, Technical, and Billing contacts with an additional notification that this APM Seal activation is out of its Grace Period. The contacts will further be notified that the APM Seal must be included on the page and that the Registrant is granted a further 30 days before the site is flagged as being in breach of the Registration terms. Should the Registrant fail to comply and activate the APM Seal within the period specified in the Acceptable Use Policy, the Registry will conduct an investigation on that domain. If after the investigation it is determined that the domain is in breach of the Acceptable Use Policy the Registry reserves the right to suspend and cancel the domain. To have your domain name marked as “APM Seal Active” within our APM Seal database, please email apm@nic.win, being sure to include the domain name that you would like us to verify. Use the code below and place it anywhere on your website to show that your website is approved by the registry, it needs to be on a visible place and present on the homepage.